Other Ingredients: Microcrystalline Cellulose, Purified Water. Capsule Shell consists of Hydroxypropyl Methylcellulose. Warnings: Consult your healthcare professional prior to use if you have or suspect a medical condition, are taking prescription drugs, or are pregnant or lactating. Keep Out of the Reach of Children. Store at 59-86F (15-30 C). Protect from Light and Moisture. BioSil™ for Hair, Skin and Nails is rated 4.9 out of 5 by 7. Rated 5 out of 5 by Mary52 from Easy to swallow and I can tell big difference I’ve just been taken my this for two weeks and can tell a difference in my nails and skin. Rated 5 out of 5 by Cher from Prefer liquid drops I love this product, but I prefer the drops. I wish Vitamin World would carry that! Rated 5 out of 5 by Mara from Great product! Great product.I have been using it for about 6 month and my hair,nails and sin really are looking better.Also,it is easy on my stomach.Very happy with the result of it. Rated 5 out of 5 by Cher from Prefer Liquid Drops This is a great product, but I prefer the liquid drops. 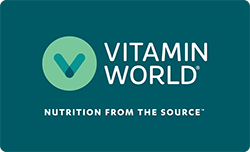 I have contacted Vitamin World and asked them to please get the drops. Rated 5 out of 5 by lyds from Great product I've been using BioSil for a couple of years. I and everyone who knows me has noticed a incredible difference in my hair and skin. My skin glows and is plump. My hair grows incredibly fast. I've cut it back short a few times and it just grows back incredibly fast. And I notice that it is thicker than it was I was younger. and I'm 59 years old. this is truly a great product. it works!